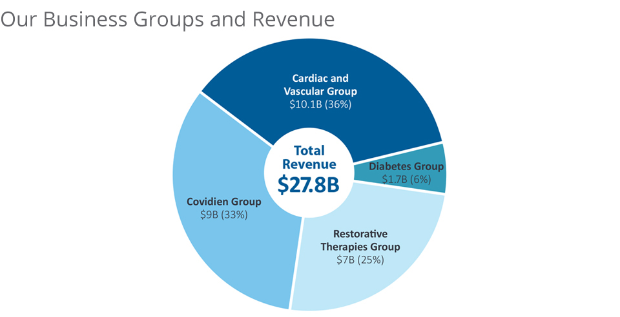 Healthcare and technology are two industries that have always gone hand in hand. Healthcare professionals are able to do their jobs more efficiently, effectively and safety thanks to innovations in medical technology. These days, one of the biggest emerging technology sectors in healthcare is something we’ve been imagining in science fiction for decades: The robot nurse. 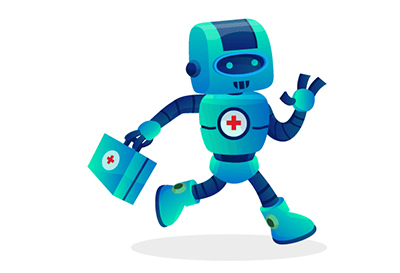 Though we’re nowhere near the point of doctors and nurses being replaced by robots, these machines are now assisting nurses in managing their everyday tasks as aging populations in many countries put a strain on existing healthcare staffing. 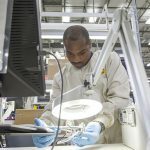 By 2021, the market is projected to hit $2.8 billion in revenue and shows every sign of growing even faster in the near future. So what are robots doing in hospitals? Mostly the dull, repetitive, dirty or unsafe tasks nurses have traditionally had to perform. These tasks include dispensing medications, sterilizing equipment and moving patients. Robots can also help with patient rehabilitation, analyzing healthcare data, staff training, and patient monitoring. Some medical robots, like the Dinsow robot in Asia are designed for elder care, setting up video chats for family members, medical alerts, and reminders for medication. These robots can help reduce hospital visits and allow seniors to remain independent for longer. As populations age and we face even greater medical staffing issues in countries like Japan and the United States, robots can help ensure that patients continue to receive quality care. Using robots for simple tasks also helps hospitals to cut costs, reduce waste and streamline processes. Human nurses will always be an essential component of providing quality care. Robots simply don’t have the empathy, creativity and adaptability of our healthcare system’s hard-working nurses. But the robot nurse can lend a hand and allow human nurses to focus on the important work of caring for patients. 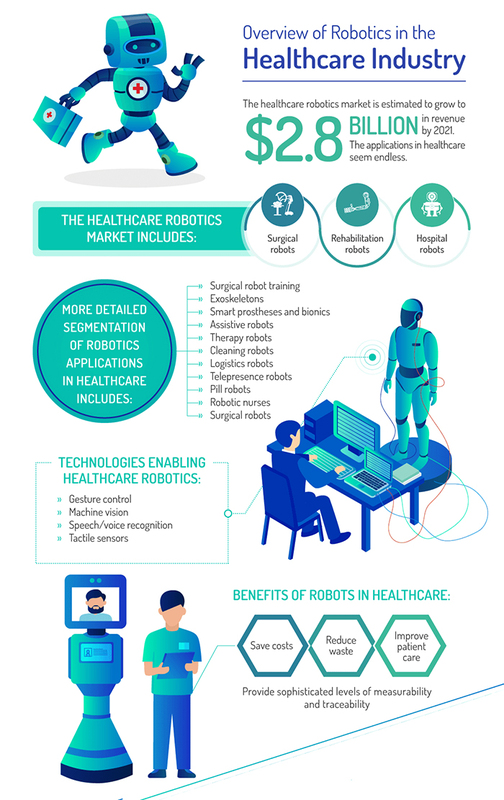 To learn more about robotics in the healthcare industry, view the full version of this infographic from the Duquesne University School of Nursing. Arjun Arya is a health tech researcher at Applied Nursing Research where he specializes in finding ways to leverage technology and data to solve some of the most pressing problems within the healthcare industry. Outside of work, Arya enjoys building robots and spending time with his wife and son.